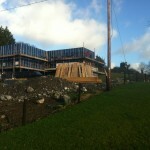 Finally, just before Christmas the somewhat elusive Shane McMahon made it onsite and began fitting the battens to the upper level of the house. 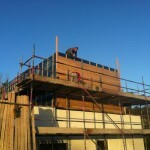 He only managed to get a days work done before the holidays but now that 2013 is here, the weather is dry and the days are getting longer (slightly) we are back on track. 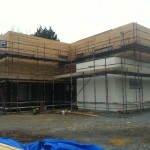 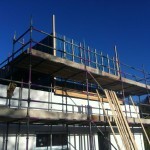 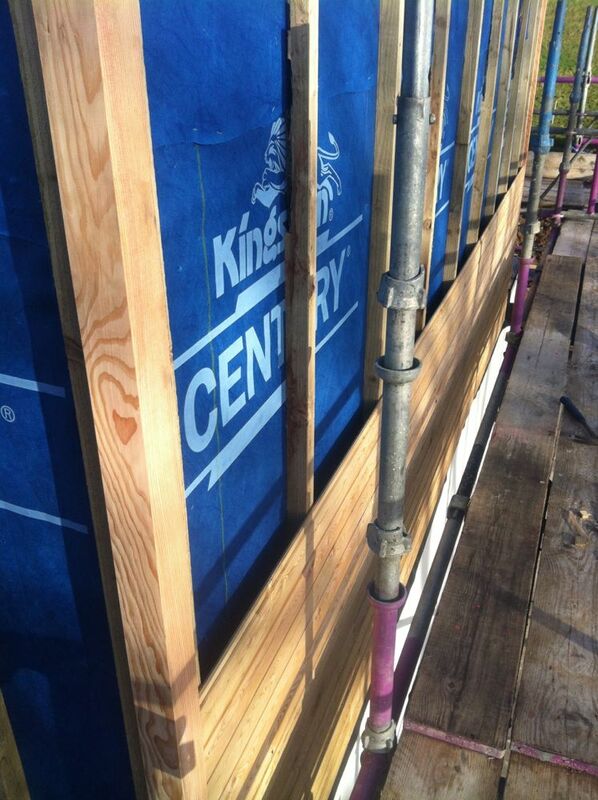 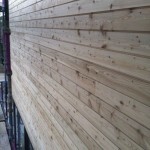 The battens have been fixed to the exterior. 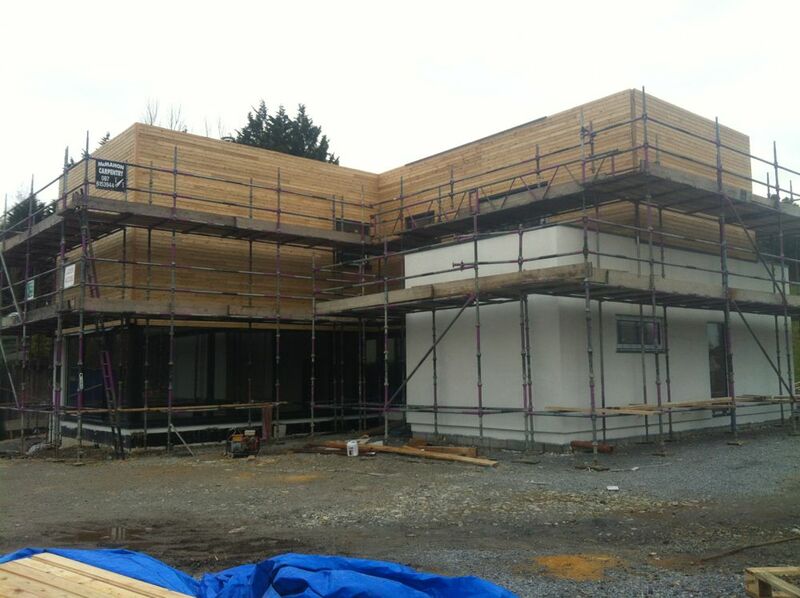 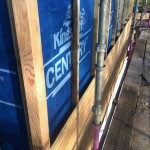 All the windows and areas where the timber will overlap the plasterboard have been flashed with a waterproof membrane and the window sills are installed. 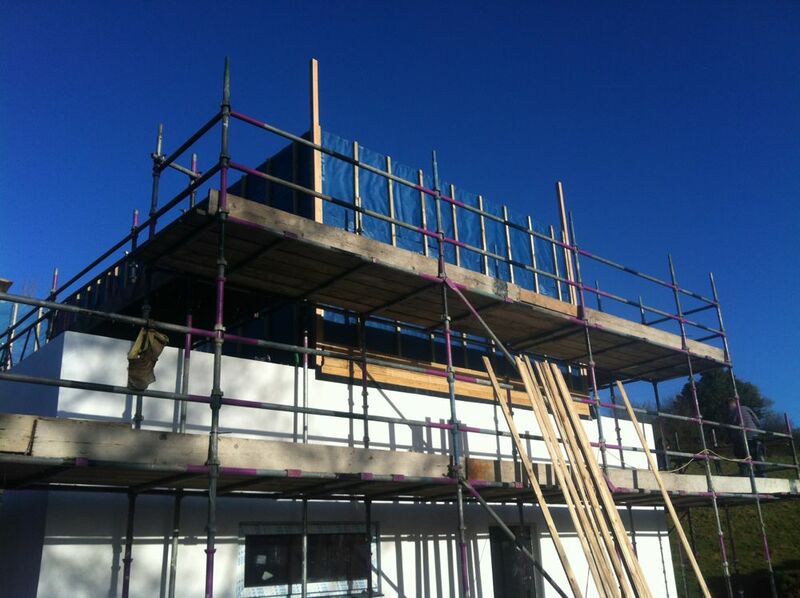 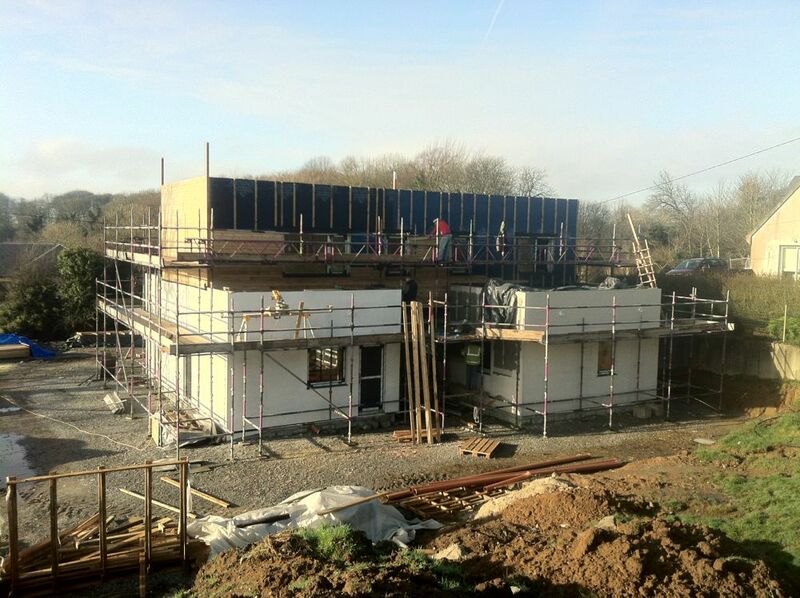 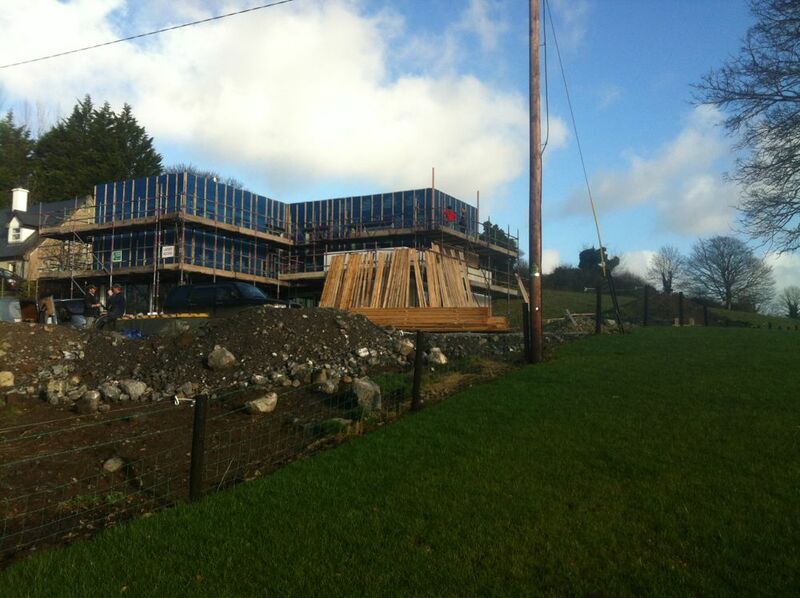 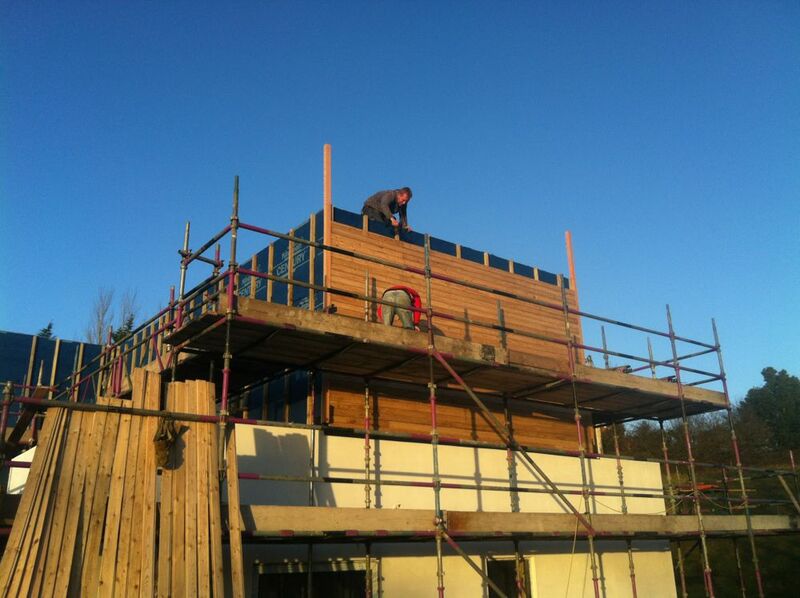 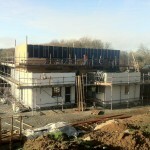 Tuesday 8th January was a gorgeous, bright and dry day and the first side of the building, the south elevation over the kitchen was clad in the larch boards. 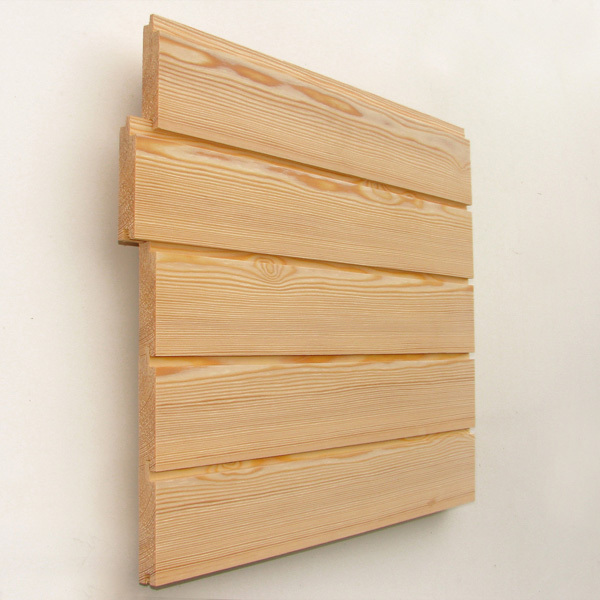 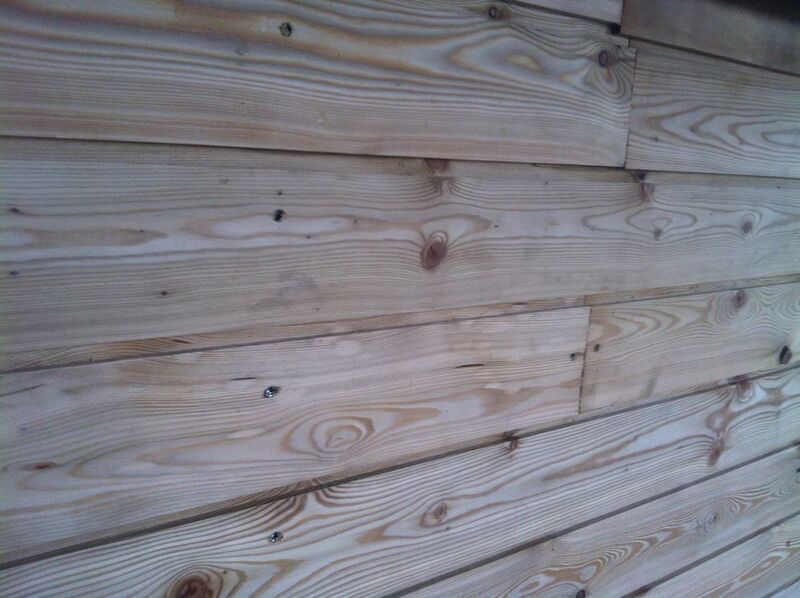 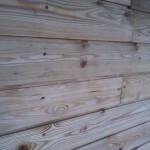 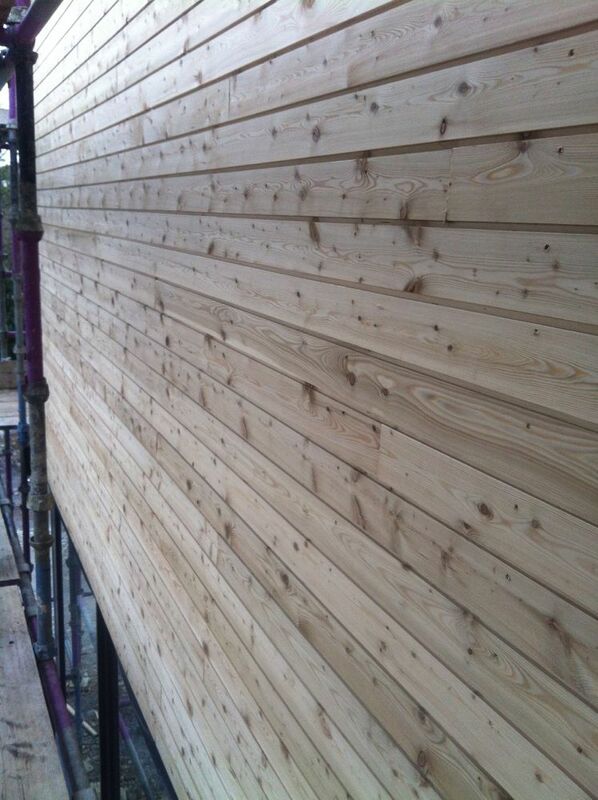 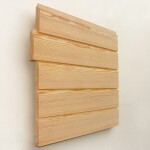 The siberian larch boards have a tongue and groove profile with a 12mm shadow gap and. 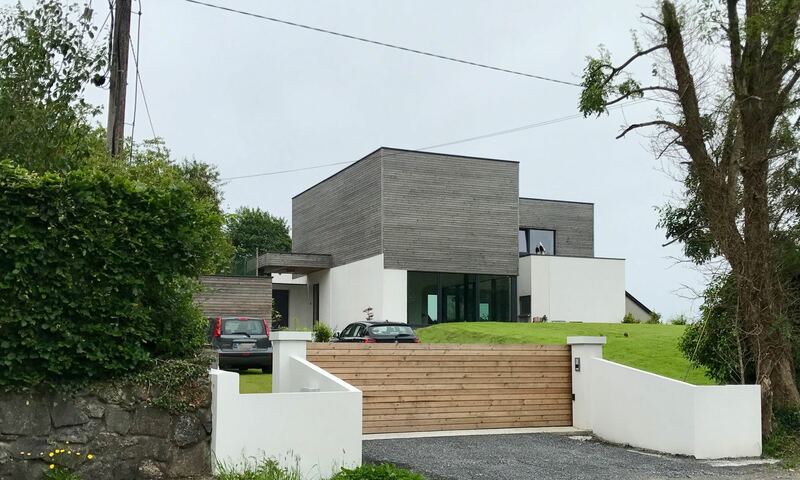 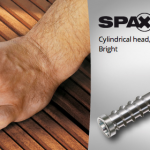 They were sourced from Corell Timber in Athlone and are fixed to 2×2 treated battens using a special decking screw from SPAX in stainless steel.